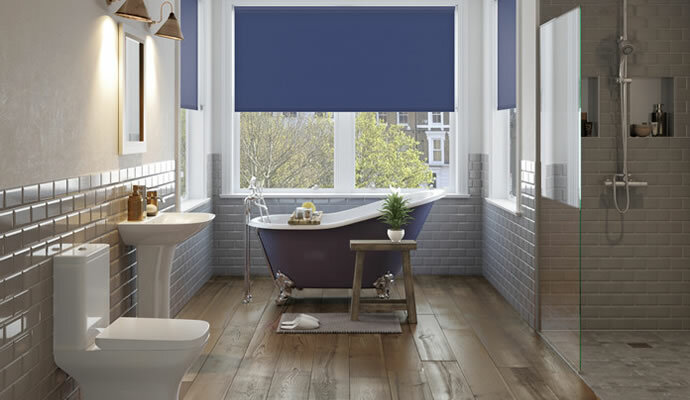 Blinds for bathrooms need to be practical, but you can also afford to be adventurous in terms of colour and design. 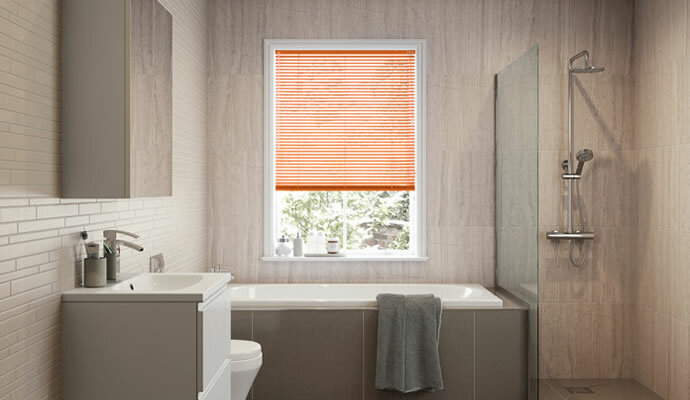 So while it’s important that they give you all the privacy you need and can stand up to the inevitable heat and splashes from your bathtub, your blinds also provide the opportunity to add a little personality to what can be quite a plain and functional room. Choose bold colours to go with the décor or an eye-catching fabric design to go perfectly with your bathroom's interior. This is the classic bathroom blind that is quick and easy to pull down and roll up. We have a huge range of colours and fabrics to choose from and it couldn’t be simpler to measure the precise size of blind you need. The beauty of venetian blinds in a bathroom is that they’re not only waterproof, they can also sit four different ways. You can tilt them to suit how much light you want to let in, as well as have them fully open or closed. 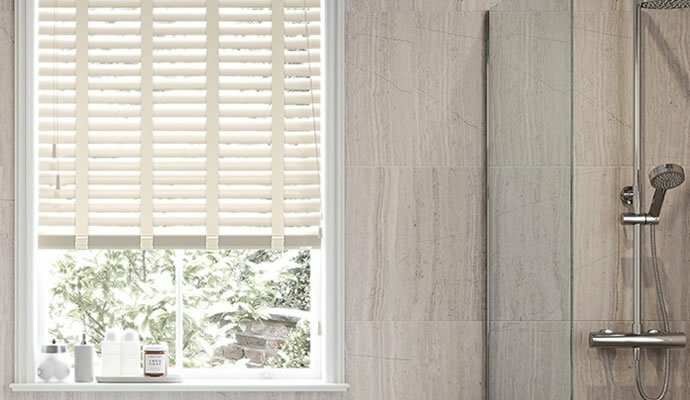 Vertical, or louvre, styles are perfect as bathroom blinds because they give you the option to angle them in order to allow in the amount of light you want or to close them completely for privacy. Our stitched or welded hems are also water resistant. Our Faux Wood blinds are perfect for those that want to include wooden blinds or wooden features in their bathroom. 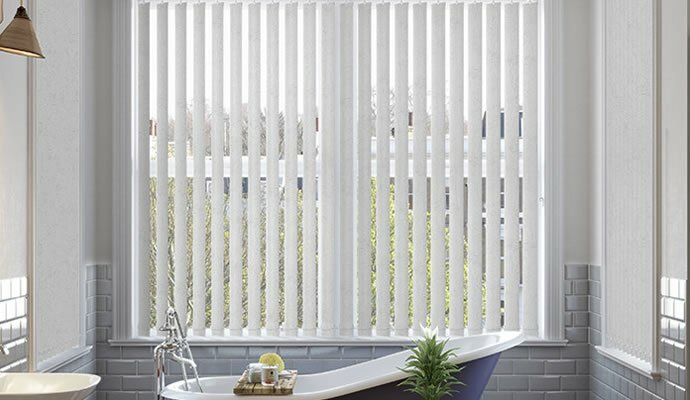 Water, warp and crack resistant, these blinds are a robust, versatile and stylish option for any home. Consider ordering our Deluxe Faux Blinds with ladder tapes for that added splash of luxury. 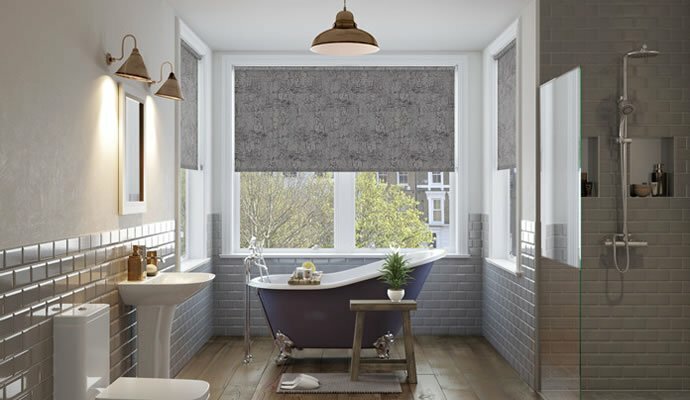 Our blackout blinds for bathrooms guarantee all the privacy you need, which is important if your bathroom is overlooked by neighbours or looks out onto the street. Many are available in PVC fabrics that are 100% waterproof, and they all block out the light. For homes with a loft conversion containing an en-suite, it’s likely that you’re going to have a skylight in the bathroom. 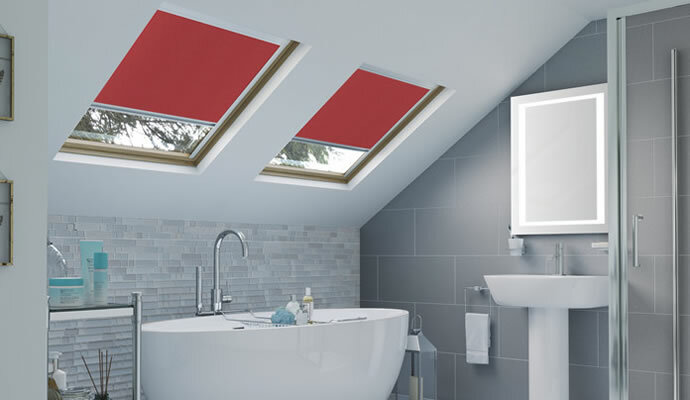 Our skylight blinds come in a range of colours to suit your style and with a selection of waterproof fabrics you don’t have to worry about accidental splashes.